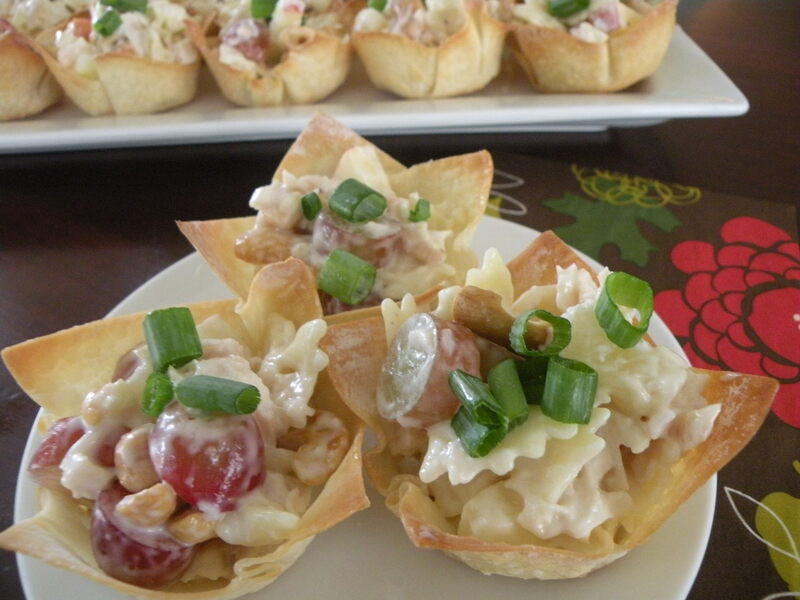 Everyone loves appetizers and aren’t these chicken salad cups adorable! 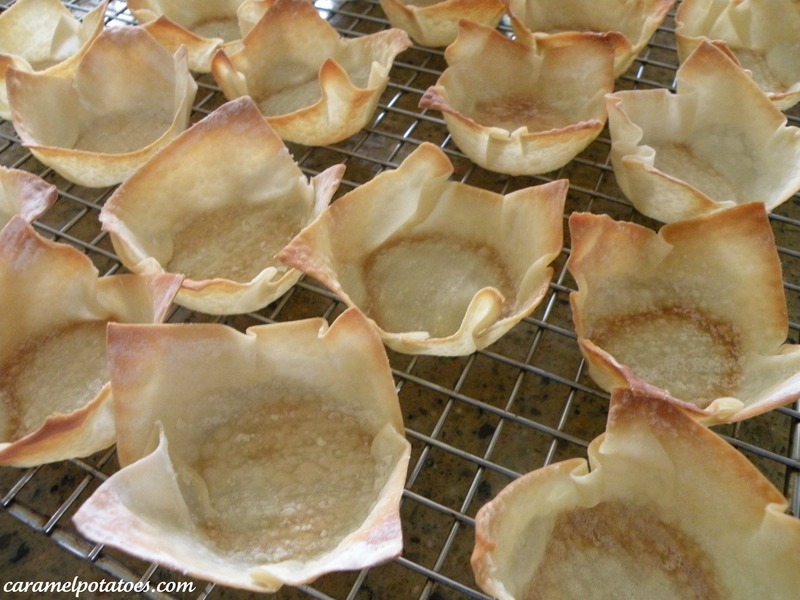 What a fun way to serve one of my favorite foods; and not only are they are fun appetizer in their own edible cup, you can also serve them as a main course at a luncheon or shower! Best of all they are simple to make and look fabulous! 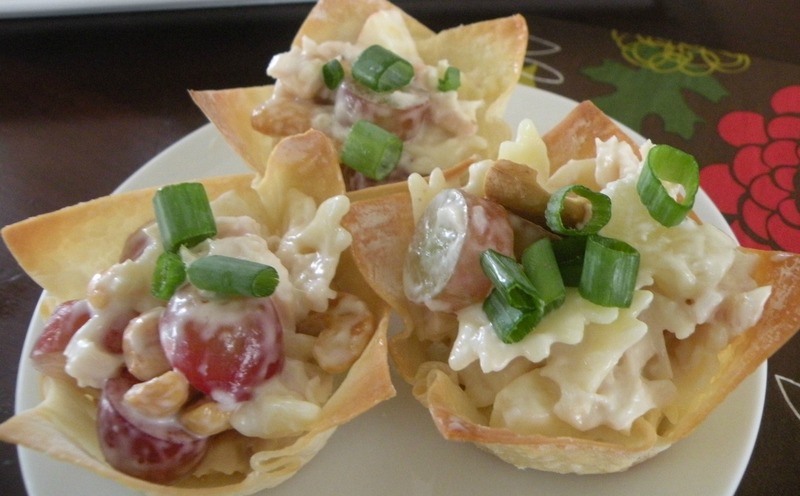 All it takes is store-bought wonton wrappers placed in muffin pan with your favorite chicken salad recipe such as this pasta chicken salad or this tai chicken salad. But why stop there . 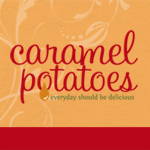 . . you can also use other favorites such as taco salad, shrimp salad, or even artichoke dip . . . just think of all the possibilities! Spray muffin tin generously with cooking spray. 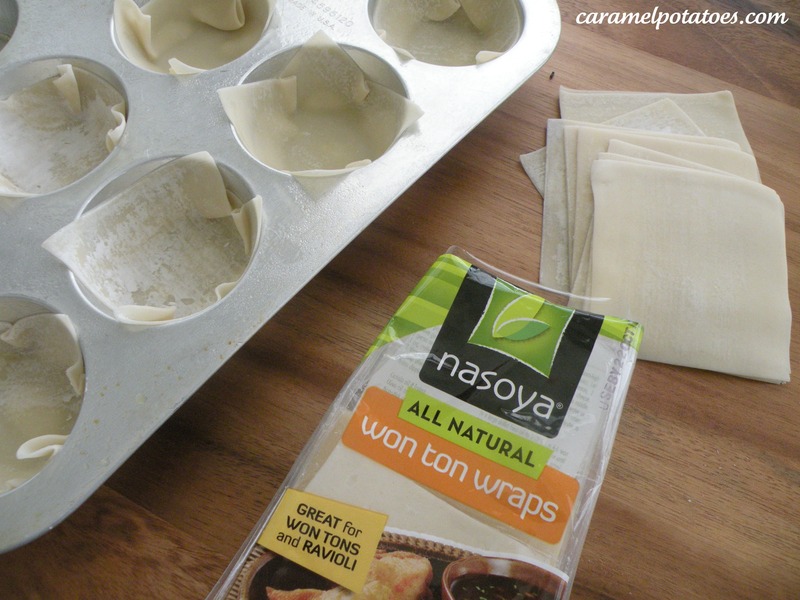 Press a wonton wrapper into the cup and lightly spray wrapper with cooking spray. Bake at 350 for 8-10 minutes, just watch them until they are lightly browned. Remove from oven and cook on a wire rack. When completely cooled, fill with chicken salad and serve! Note: You can also use mini muffin tins for a more bite-size appetizer! Hooray for Dallas bloggers! Your site is amazing!! Wow, that chicken salad looks amazing! I will have to try this.. hope the recipe for the salad is on your site too! I am really impressed with your work and want to say thank you for this wonderful blog. I must say you are very intelligent and amazing person. God bless you. This is something which i really love and i cant wait to try this again.